A poll has indicated that 85% of Irish people would prefer to be cared for in their old age at home. A POLL HAS indicated that an overwhelming percentage of Irish adults would prefer to be cared for in their own home instead of a nursing home. 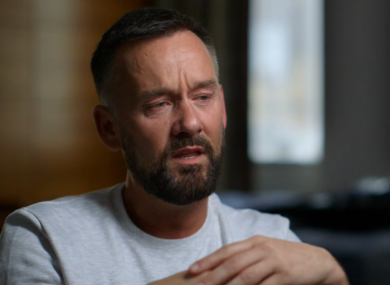 The results of the poll were published tonight after a documentary about presenter and fashion designer Brendan Courtney’s struggle to care for his father who is unable to care for himself following a stroke. The documentary follows Courtney and his sister as they assess all the options to try and care for their dad – including remortgaging their houses in order to pay for nursing home care. The documentary is striking in how difficult all the options seem for Courtney, who is visibly upset as he discusses them out loud. In another scene after visiting a woman who quit her job to become a full time carer for her mother, Courtney contemplates making that decision, and says that the idea “fills [him] with horror”. Sean Moynihan, CEO of a charity for the elderly ALONE, said that this is reflected in other studies, but despite this, there is no legal right to home care in Ireland. Ireland’s elderly population is set to reach 1.4 million over the next 30 years, which would not only put a great strain on our health services, but call for a greater number of services for caring for the elderly. Email “'You don't want to be mean, but it is depressing': Brendan Courtney on nursing home care for his dad”. Feedback on “'You don't want to be mean, but it is depressing': Brendan Courtney on nursing home care for his dad”.